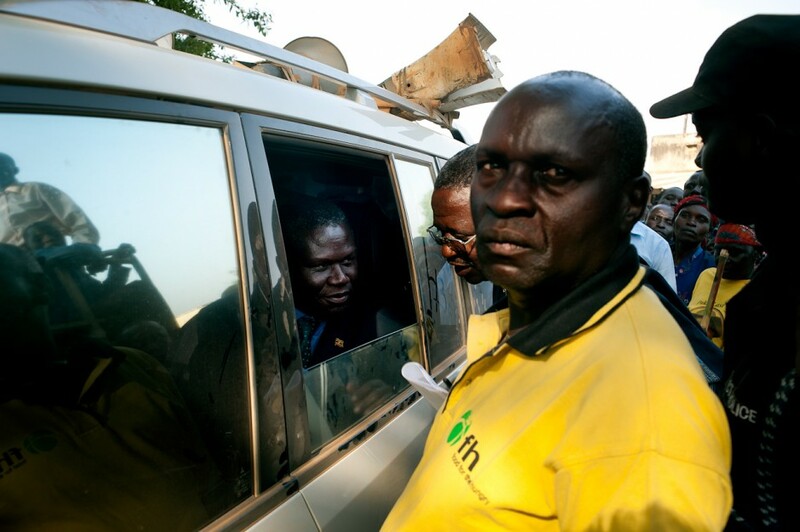 Will Boase rides along with Norbert Mao as he tries to unseat Museveni in the 2011 Ugandan elections. 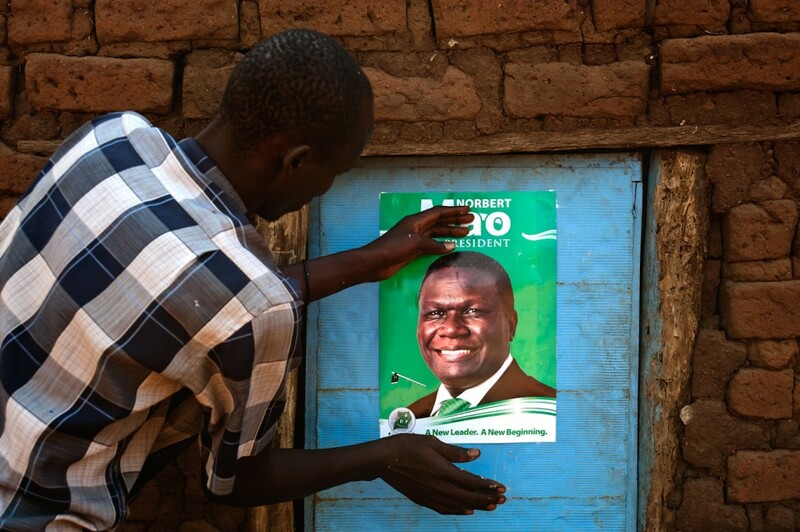 I WAS IN UGANDA on the tail of Norbert Mao — leader of Uganda’s opposition Democratic Party — in the run-up to the 2011 elections. Contesting President Museveni for the presidency were Kizza Besigye of the Forum for Democratic Change, Olara Otunnu of the Ugandan People’s Congress, and Mao. When I joined, he was running in third place behind Museveni and Besigye. We met in Gulu a few months back. Could I join your campaign as a photographer? A member of Mao's poster team sticks a campaign poster to a door in a village. 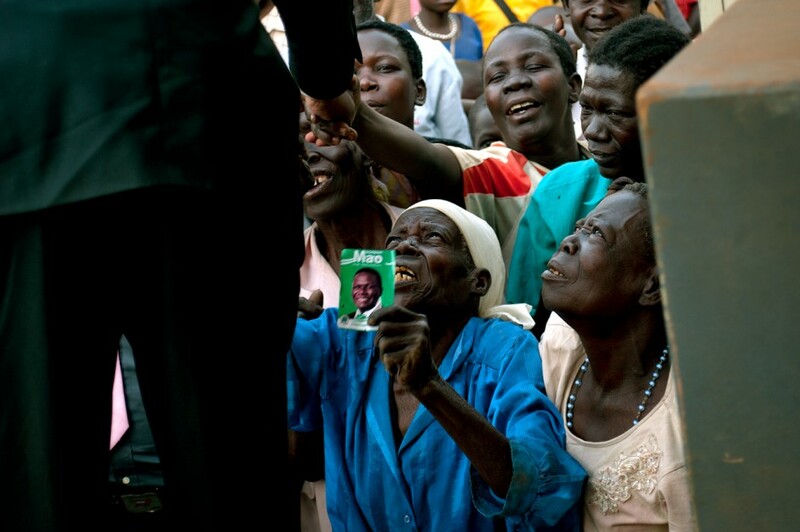 Women grasp at the candidate during a speech near Atiak, where he has family links. Mao signs the guestbook at a prison he accidentally ended up at after the convoy took a wrong turn. True support. 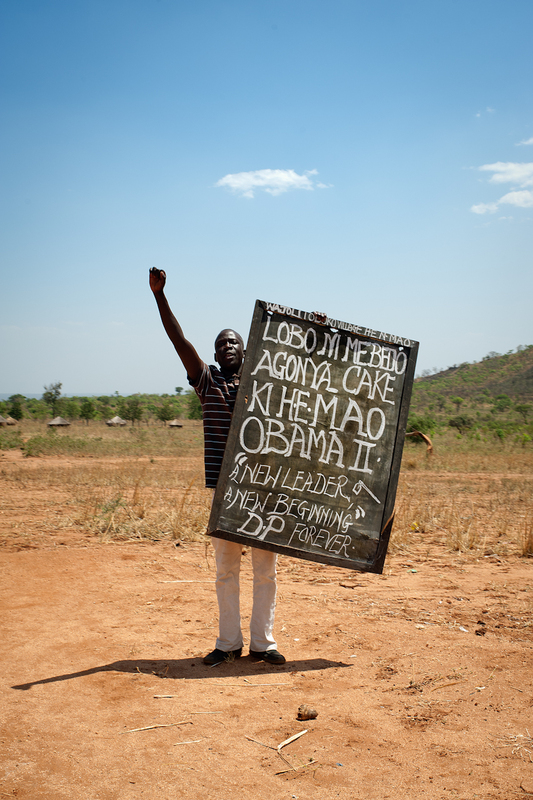 A man waits beside the road with a chalkboard bearing his thoughts about Mao being the second coming of Obama. The campaign was running very late, so he must have been there a while. 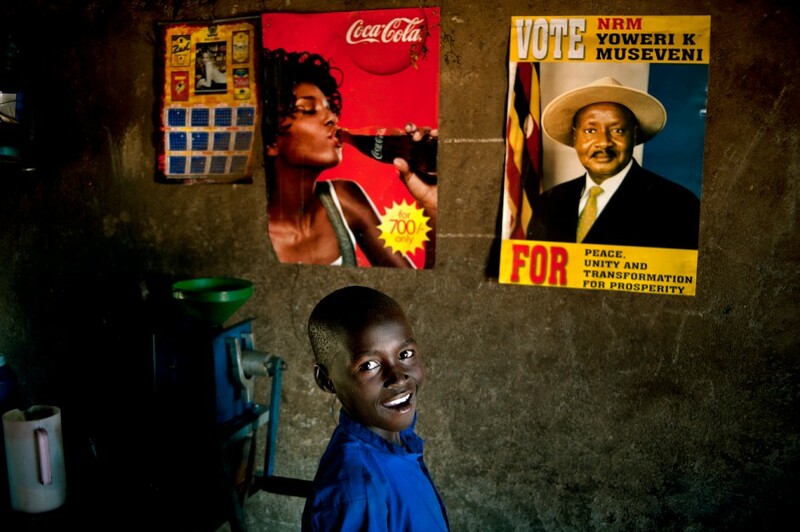 A boy stands in front of posters advertising Coke and NRM. 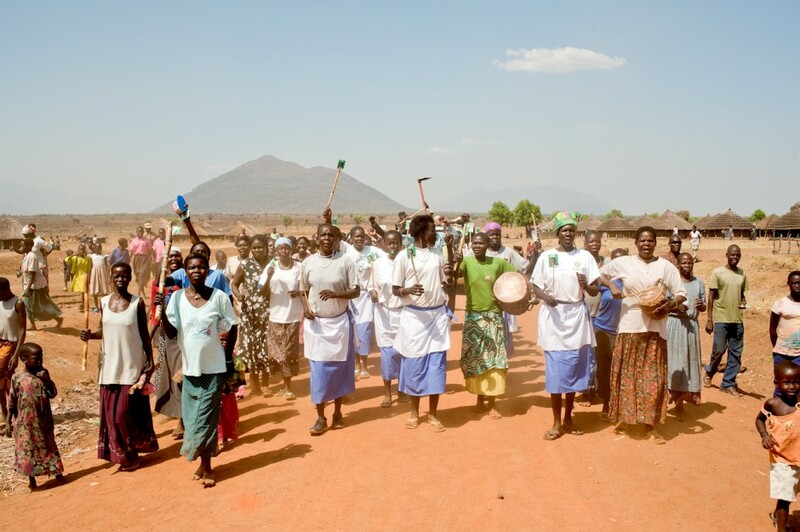 Cheering women greet the candidate at a village somewhere in the north of Uganda. A poster bearing the face of Mao is waved on a stick above a crowd who are listening to him speak. 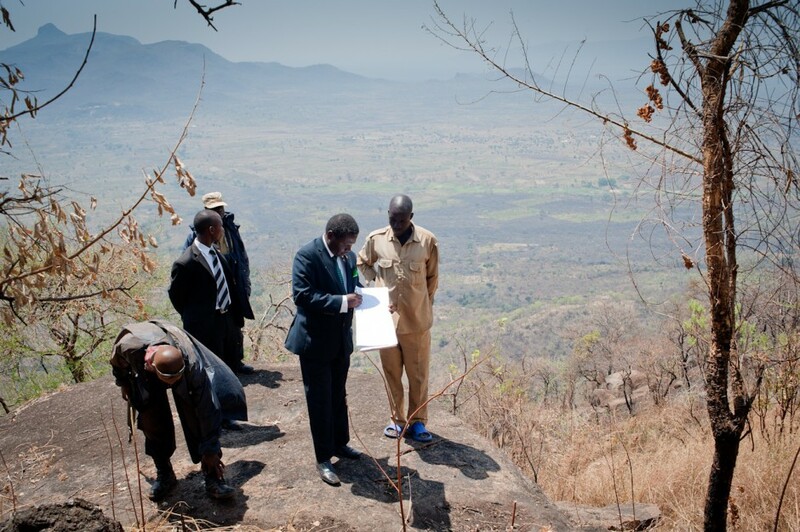 An NRM official looks on disapprovingly at the photographer, having been warned by security that I was invited. 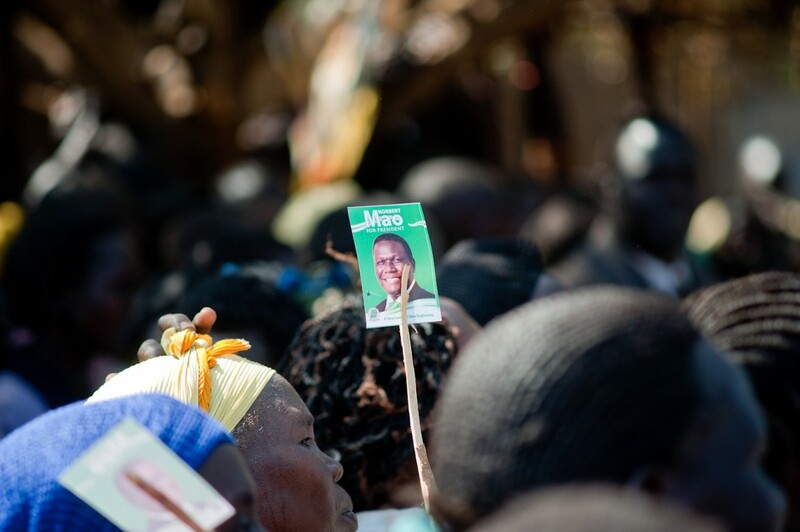 The local candidate for the NRM party in Patongo had decided that he needed the town square despite a prior reservation by the Democratic Party, but his bluff was called eventually. 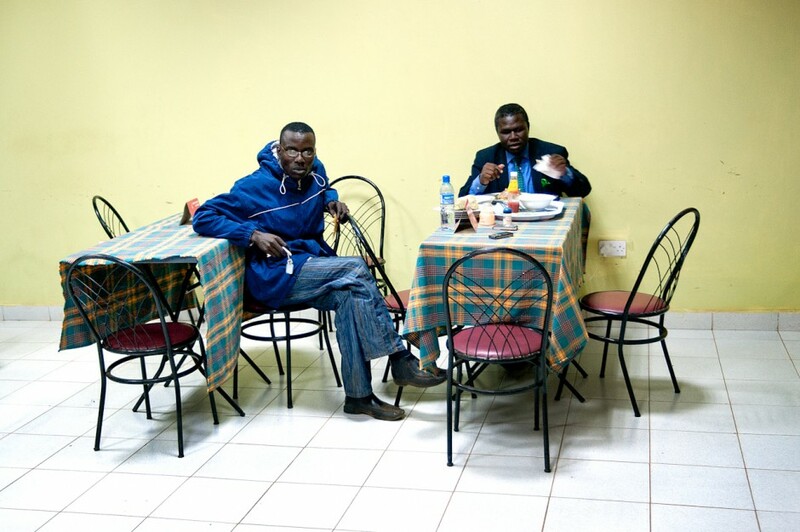 Mao and a local DP politician eat a late supper at 3am in a service station in Bobi, near Gulu. 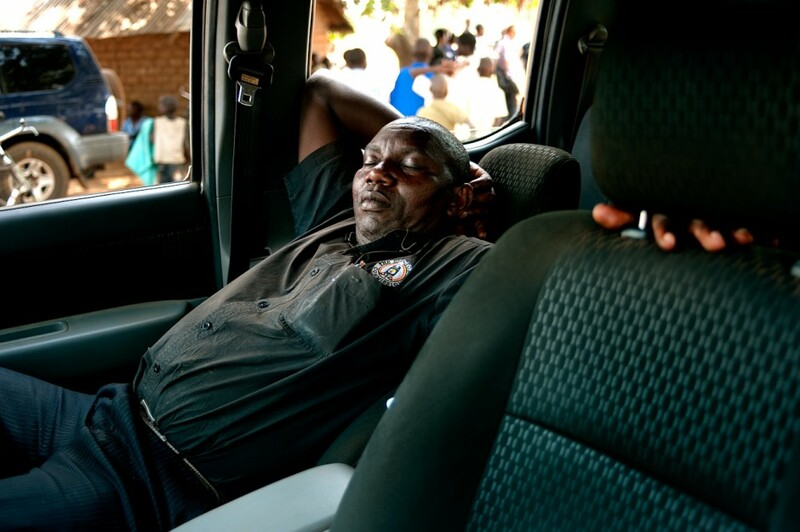 A campaign driver sleeps during a speech. 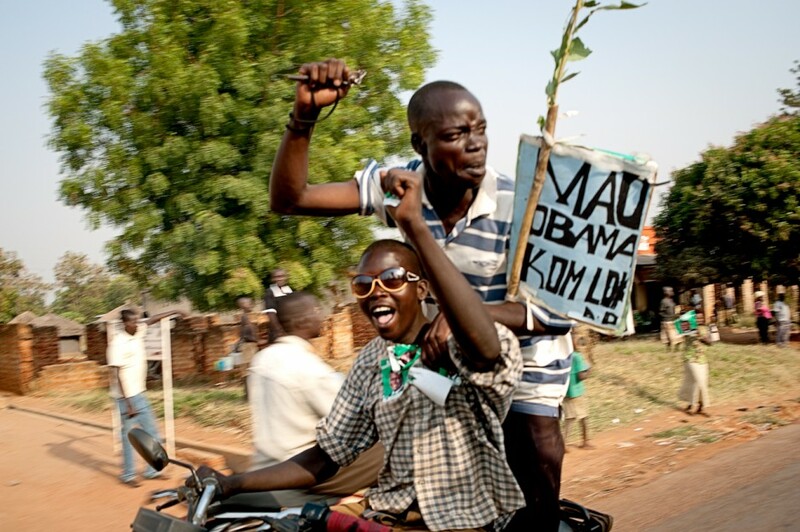 Young men on motorbikes waving placards greet Mao as he arrives in Gulu. 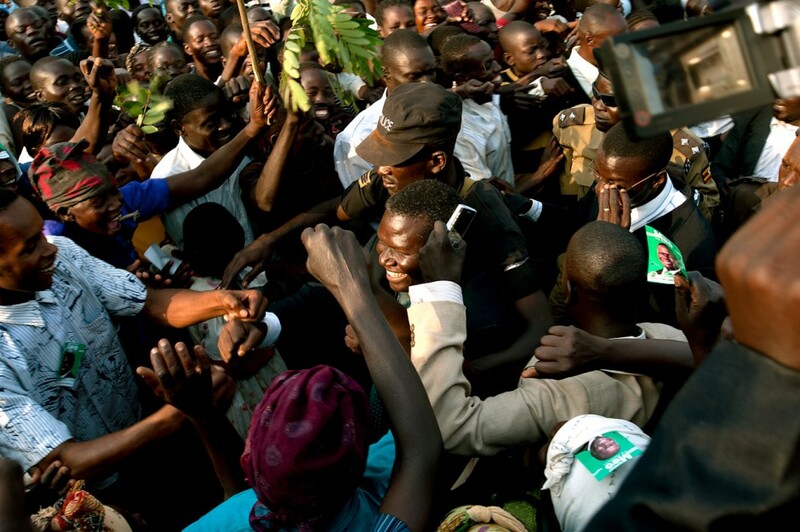 Mao, ringed by security, struggles through the jubilant crowd on his way to the stage in Gulu. 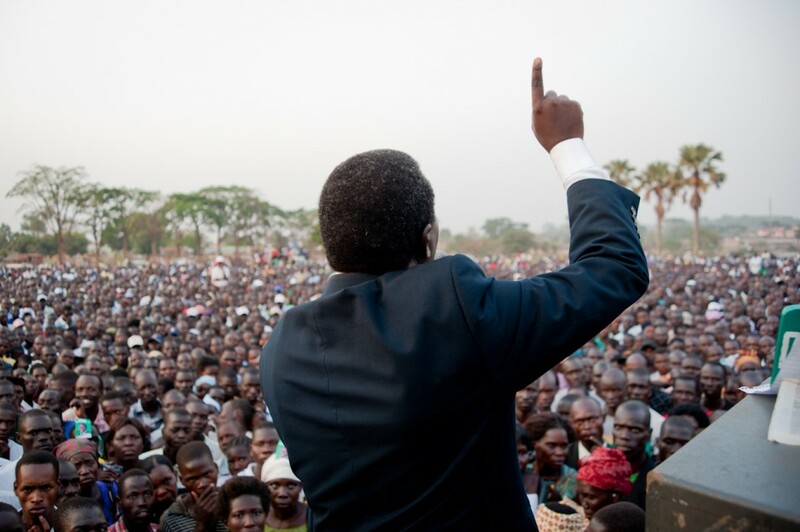 Mao addresses a vast crowd at Boma Grounds, Gulu. 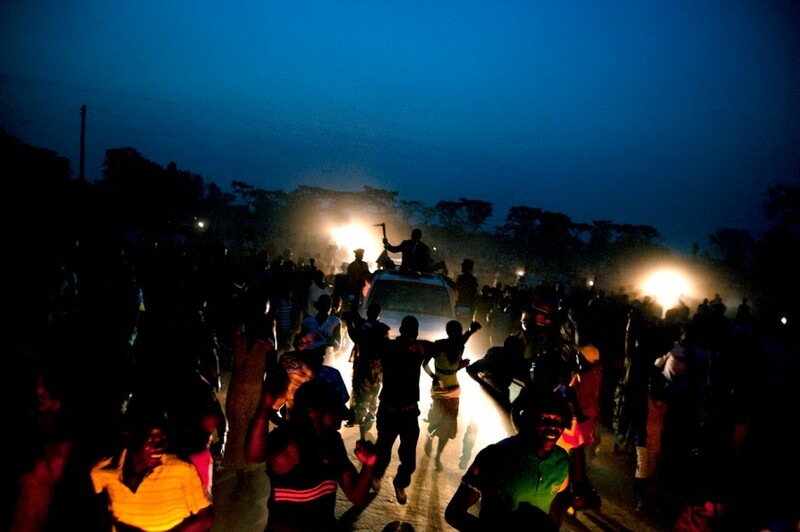 The candidate's convoy attempts to leave Boma Grounds in Gulu after his speech. 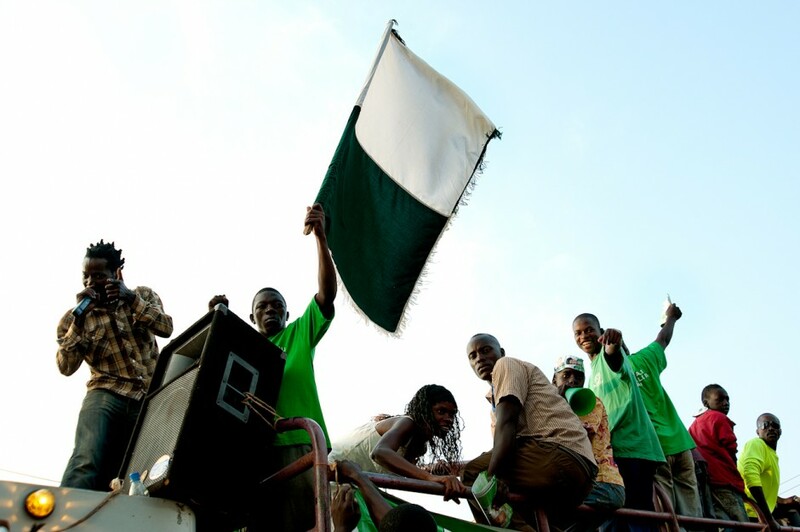 DP mobilisers stand on top of a truck on their way into Kampala to prepare venues for a day of campaigning. 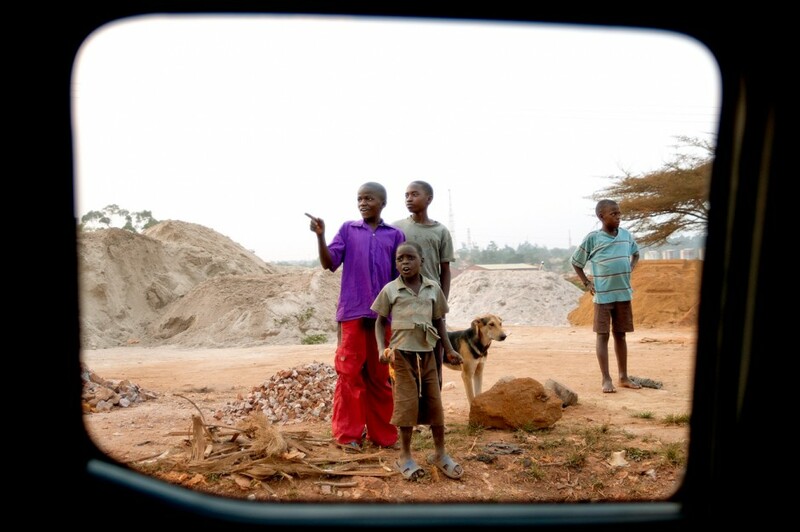 Children watch in awe as the motorcade passes. 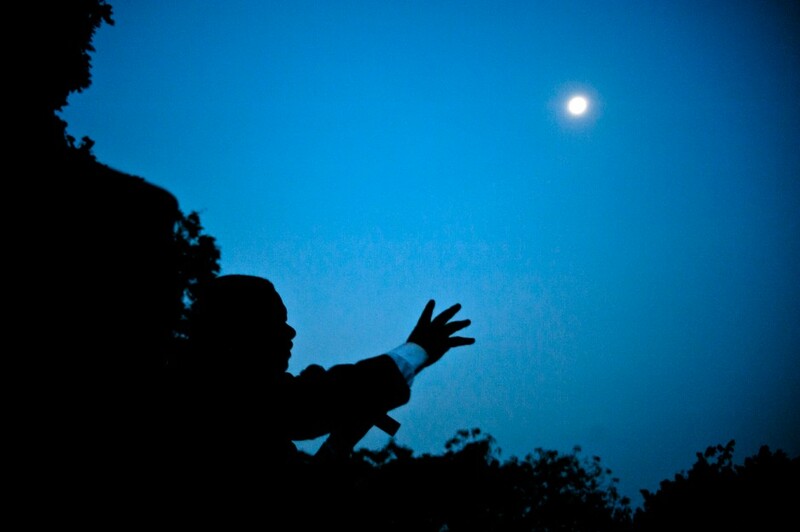 Mao gives a final speech at nightfall in Makerere University, just before the ballot. 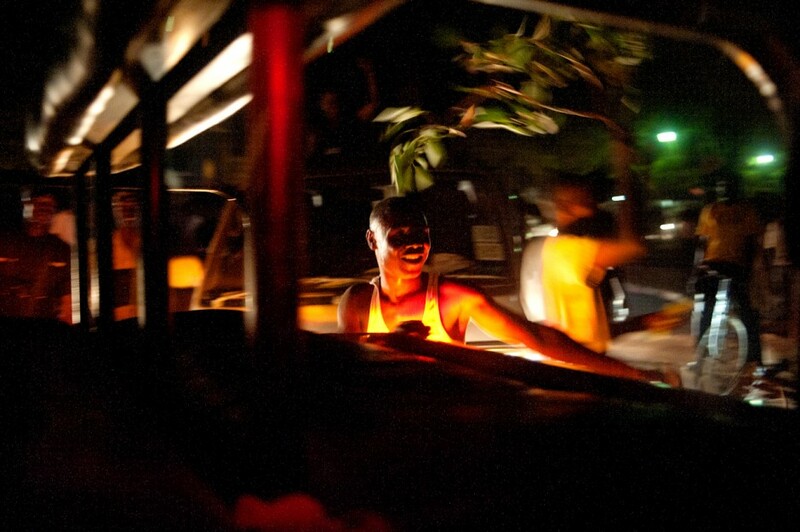 Overexcited Makerere students accompany the cars out of the university's gates after a campaign speech.